World Leader in Water Safety & Rescue. Lifeguard-Pro is a nationally & internationally recognized professional rescue training agency dedicated to reducing the number of deaths by drowning worldwide. 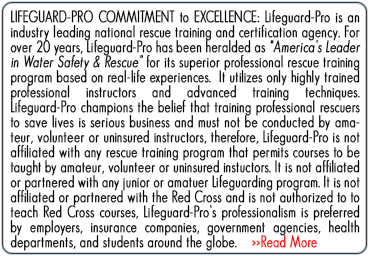 Lifeguard-Pro is widely recognized as a "World Leader in Water Safety & Rescue". 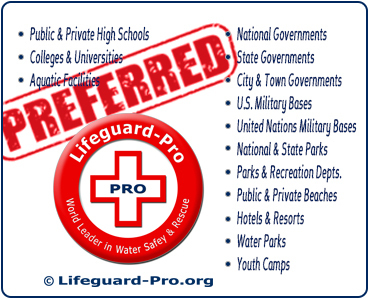 Lifeguard-Pro certifications are approved and/or accepted by all 50 U.S. states across the nation and over 30 countries around the world. Florida (FL) Authorized Service Provider. 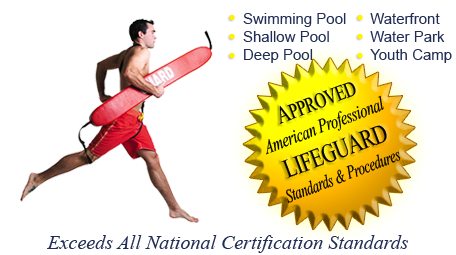 We are a Lifeguard-Pro Authorized Service Provider serving every major city in Florida (FL). Ultra-Convenient Course Format. 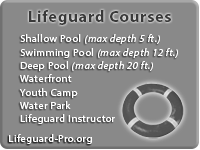 Select your Lifeguard certification course or Water Safety Instructor certification course. Then, purchase and complete the corresponding online Home-Study Course. Then, contact us to schedule your 1-2 day local In-Person Training Session. Online Home-Study Course. The Lifeguard-Pro Home-Study Courses immediately provides you with all the course required textbooks, videos, exams, forms, and materials for you to successfully complete all of your course's academic requirements. Learn in the comfort and convenience of your own home. Stop and start as often as you like. Progress at your own pace. In-Person Training Session. We will provide you with the contact information for your local instructors. Request a local 1-2 day In-Person Training Session that is convenient for YOU. Select the any date, time, and location that is best for you. Our local instructors will service your request. You do not have to wait for a group class to assemble in your local area. Our local instructors will conduct your In-Person Training Session -- even if you are the only candidate in the class! To guarantee that you receive a convenient, local In-Person Training Session, Lifeguard-Pro does not require you to pay for your In-Person Training Session in advance. You only pay for your In-Person Training Session when you arrive at class! 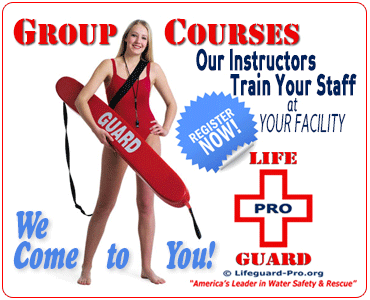 Florida Lifeguard Certification Courses. 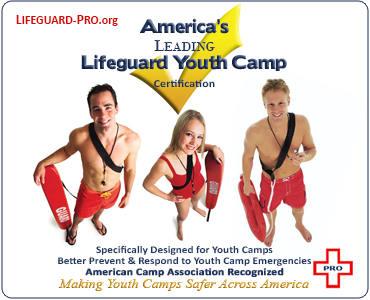 Lifeguard-Pro offers the world's most convenient Lifeguard certification courses. Simply complete your Lifeguard online Home-Study Course, and then participate in a 1-2 day local Lifeguard In-Person Training Session on any date and location that you reserve. 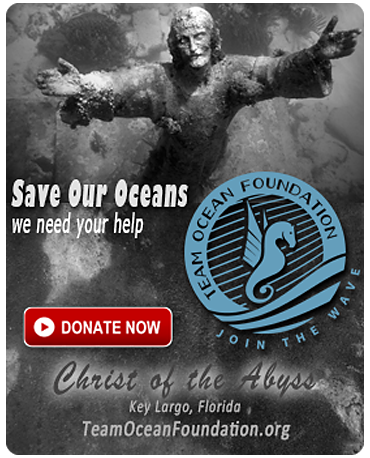 Our local Florida Lifeguard Instructors will service your request. It's that easy! Florida In-Person Training Sessions. As a Florida Authorized Service Provider of Lifeguard-Pro, we offer the local Florida Lifeguard In-Person Training Sessions 7-days a week, year-round in all major cities in Florida. Once you successfully complete your Lifeguard online Home-Study Course, just give us a call and request your local Florida Lifeguard 1-2 day In-Person Training Session. Schedule your In-Person Training Session just like you would schedule an airline flight or hotel reservation. Select a date, time, and location that is convenient to YOU. Our local Florida Lifeguard Instructors will service your request. Scheduling your local In-Person Training Session is super-easy. To ensure you get an In-Person Training Session that is convenient for you, we don't require you to pay for your In-Person Training Session until you arrive at class! Register Now. Florida Lifeguard Instructor Certification Courses. 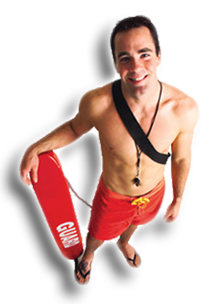 Simply complete your Lifeguard Instructor online Home-Study Course. Then, attend a 2-3 day local Florida Lifeguard Instructor In-Person Training Session on any date and location that you reserve. Our instructors will train you -- even if you're the only candidate in the class! Florida In-Person Training Sessions. As a Florida Authorized Service Provider of Lifeguard-Pro, we offer the local Florida Lifeguard Instructor In-Person Training Sessions 7-days a week, year-round in all major cities in Florida. 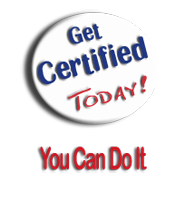 Once you successfully complete your Home-Study Course, just give us a call and request your local 2-3 day In-Person Training Session. Schedule your In-Person Training Session just like you would schedule an airline flight or hotel reservation. Select a date, time, and location that is convenient to YOU. Our local instructors will service your request. To ensure you get an In-Person Training Session that is convenient for you, we don't require you to pay for your In-Person Training Session until you arrive at class! Register Now. Florida Water Safety Instructor Certification Courses. Simply complete yourr Water Safety Instructor (WSI) online Home-Study Course, and then participate in a 1-2 day local Florida Water Safety Instructor (WSI) In-Person Training Session on any date and location that you reserve. Florida In-Person Training Sessions. As a Florida Authorized Service Provider of Lifeguard-Pro, we offer the local Florida Water Safety Instructor (WSI) In-Person Training Sessions 7-days a week, year-round in all major cities in Florida. Once you successfully complete your Water Safety Instructor (WSI) online Home-Study Course, just give us a call and request your local Florida Water Safety Instructor (WSI) 1-2 day In-Person Training Session. Select a date, time, and location that is convenient to YOU. Our local Florida Water Safety Instructor Trainers will service your request. To ensure you get an In-Person Training Session that is convenient for you, we don't require you to pay for your In-Person Training Session until you arrive at class! Register Now. 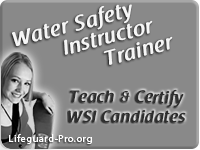 Florida Water Safety Instructor Trainer (WSIT) Courses. Simply complete your Water Safety Instructor Trainer (WSIT) online Home-Study Course, and then participate in a 2-3 day local Florida Water Safety Instructor Trainer (WSIT) In-Person Training Session on any date and location that you reserve. Florida In-Person Training Sessions. 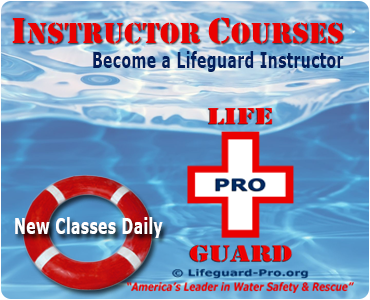 As a Florida (FL) Authorized Service Provider of Lifeguard-Pro, we offer the local Florida Water Safety Instructor Trainer (WSIT) In-Person Training Sessions 7-days a week, year-round in all major cities in Florida (FL). Just give us a call and request your local Florida Water Safety Instructor Trainer (WSIT) 2-3 day In-Person Training Session. Select a date, time, and location that is convenient to YOU. 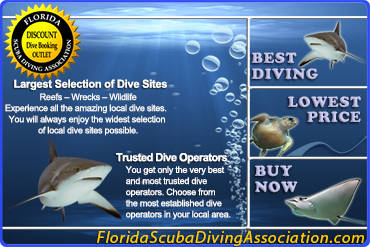 Our local Florida instructors will service your request. To ensure you receive an In-Person Training Session that is convenient for you, we do not require you to pay for your In-Person Training Session until you arrive at class! Register Now. 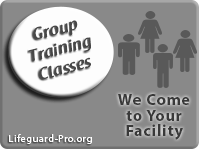 Reserve Your Group Training Date. Simply call us to reserve your training date, time, and location. Your group members will complete the online preparatory Home-Study Course. Then, on the day of your training reservation, we'll send instructors to your facility to conduct your group training session. 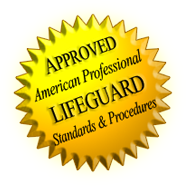 As a Florida Authorized Service Provider for Lifeguard-Pro, we service all areas of Florida 52-weeks a year! Lowest Price Guarantee. If our convenient training program wasn't enough to convince you, then check out our incredible pricing! We offer 3 incredible price options: (1) National Industry Group Discounts; (2) Inflation Buster (90% of whatever you paid our competitor last year for the same training); (3) Lowest Price Guarantee (90% of the lowest publically available training in your local area). Select the price option that is best for you.